Burell Built Exteriors is glad to provide licensed roof repair and installation in Jefferson County, TN. We offer complete residential and full commercial roofing services. Call us anytime at (865) 385-6926 to get more details about our roofing company in Jefferson County, TN. Our roofers are proud to have expanded our family-owned and operated service to a big area beyond our offices in Chattanooga and Knoxville, TN to provide reliable roof repair and installation to a greater demographic. From multi-layered roof systems to more simple materials, we repair and replace all types of roofs, including shingle, slate, and TPO. Choose from our many products and materials by well-known manufacturers, with options for any design or budget. You won’t find our roofing company in Jefferson County, TN cutting corners or allowing poor work. If you live in one of the following communities or nearby, give us a call to learn how we can help you with your roof. At Burell Built Exteriors, we are happy to provide comprehensive services for your residential or commercial roof. Thanks to our extensive experience and local knowledge, we can expertly assess the problems with your roof, from general wear and tear to hidden hail damage. If you have an emergency such as critical storm damage or just need maintenance, don’t hesitate to contact us at (865) 385-6926. 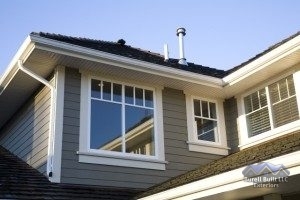 When you need gutter or siding repair, we can help with that too! Our roofing company in Jefferson County, TN is here to help with anything you need when it comes to roof repair!